Tip What you say on www.TRON.ru may be viewed all around the world instantly. You are what you Blogpost! You may use the Services only if you can form a binding contract with www.TRON.ru and are not a person barred from receiving services under the laws of the Japan or other applicable jurisdiction. You may use the Services only in compliance with these Terms and all applicable local, state, national, and international laws, rules and regulations. The Services that www.TRON.ru provides are always evolving and the form and nature of the Services that www.TRON.ru provides may change from time to time without prior notice to you. In addition, www.TRON.ru may stop (permanently or temporarily) providing the Services (or any features within the Services) to you or to users generally and may not be able to provide you with prior notice. We also retain the right to create limits on use and storage at our sole discretion at any time without prior notice to you. The Services may include advertisements, which may be targeted to the Content or information on the Services, queries made through the Services, or other information. The types and extent of advertising by www.TRON.ru on the Services are subject to change. In consideration for www.TRON.ru granting you access to and use of the Services, you agree that www.TRON.ru and its third party providers and partners may place such advertising on the Services or in connection with the display of Content or information from the Services whether submitted by you or others. Tip You can opt-out of most communications from www.TRON.ru including our newsletter, new follower emails, etc. Please see the Notices tab of Settings for more. You are responsible for safeguarding the password that you use to access the Services and for any activities or actions under your password. We encourage you to use “strong” passwords (passwords that use a combination of upper and lower case letters, numbers and symbols) with your account. www.TRON.ru cannot and will not be liable for any loss or damage arising from your failure to comply with the above requirements. We do not endorse, support, represent or guarantee the completeness, truthfulness, accuracy, or reliability of any Content or communications posted via the Services or endorse any opinions expressed via the Services. You understand that by using the Services, you may be exposed to Content that might be offensive, harmful, inaccurate or otherwise inappropriate, or in some cases, postings that have been mislabeled or are otherwise deceptive. Under no circumstances will www.TRON.ru be liable in any way for any Content, including, but not limited to, any errors or omissions in any Content, or any loss or damage of any kind incurred as a result of the use of any Content posted, emailed, transmitted or otherwise made available via the Services or broadcast elsewhere. You agree that this license includes the right for www.TRON.ru to make such Content available to other companies, organizations or individuals who partner with Www.Zvezdolet.TV for the syndication, broadcast, distribution or publication of such Content on other media and services, subject to our terms and conditions for such Content use. Tip www.TRON.ru has an evolving set of rules for how API developers can interact with your content. These rules exist to enable an open ecosystem with your rights in mind. Such additional uses by www.TRON.ru, or other companies, organizations or individuals who partner with www.TRON.ru, may be made with no compensation paid to you with respect to the Content that you submit, post, transmit or otherwise make available through the Services. You are responsible for your use of the Services, for any Content you provide, and for any consequences thereof, including the use of your Content by other users and our third party partners. You understand that your Content may be rebroadcasted by our partners and if you do not have the right to submit Content for such use, it may subject you to liability. www.TRON.ru will not be responsible or liable for any use of your Content by www.TRON.ru in accordance with these Terms. You represent and warrant that you have all the rights, power and authority necessary to grant the rights granted herein to any Content that you submit. 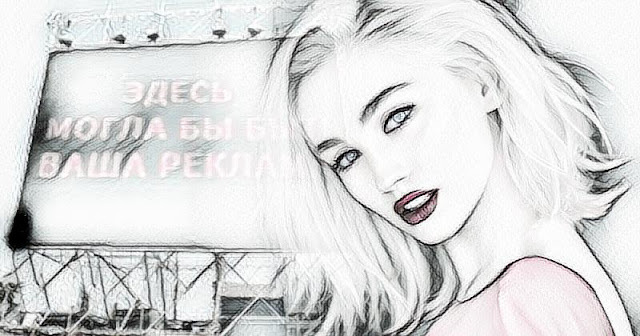 www.TRON.ru gives you a personal, worldwide, royalty-free, non-assignable and non-exclusive license to use the software that is provided to you by www.TRON.ru as part of the Services. This license is for the sole purpose of enabling you to use and enjoy the benefit of the Services as provided by www.TRON.ru, in the manner permitted by these Terms. All right, title, and interest in and to the Services (excluding Content provided by users) are and will remain the exclusive property of www.TRON.ru and its licensors. The Services are protected by copyright, trademark, and other laws of both the United States and foreign countries. Nothing in the Terms gives you a right to use the www.TRON.ru name or any of the www.TRON.ru trademarks, logos, domain names, and other distinctive brand features. Any feedback, comments, or suggestions you may provide regarding www.TRON.ru, or the Services is entirely voluntary and we will be free to use such feedback, comments or suggestions as we see fit and without any obligation to you. (v) protect the rights, property or safety of www.TRON.ru, its users and the public. Except as permitted through the Services (or these Terms), you have to use the www.TRON.ru API if you want to reproduce, modify, create derivative works, distribute, sell, transfer, publicly display, publicly perform, transmit, or otherwise use the Content or Services. Tip We encourage and permit broad re-use of Content. The www.TRON.ru API exists to enable this. Your access to and use of the Services or any Content is at your own risk. You understand and agree that the Services is provided to you on an “AS IS” and “AS AVAILABLE” basis. Without limiting the foregoing, www.TRON.ruAND ITS PARTNERS DISCLAIM ANY WARRANTIES, EXPRESS OR IMPLIED, OF MERCHANTABILITY, FITNESS FOR A PARTICULAR PURPOSE, OR NON-INFRINGEMENT. We make no warranty and disclaim all responsibility and liability for the completeness, accuracy, availability, timeliness, security or reliability of the Services or any content thereon www.TRON.ru will not be responsible or liable for any harm to your computer system, loss of data, or other harm that results from your access to or use of the Services, or any Content. You also agree that www.TRON.ru has no responsibility or liability for the deletion of, or the failure to store or to transmit, any Content and other communications maintained by the Services. We make no warranty that the Services will meet your requirements or be available on an uninterrupted, secure, or error-free basis. No advice or information, whether oral or written, obtained from www.TRON.ru or through the Services, will create any warranty not expressly made herein. (ii) the content, products, or services on or available from such websites or resources. Links to such websites or resources do not imply any endorsement by www.TRON.ru of such websites or resources or the content, products, or services available from such websites or resources. You acknowledge sole responsibility for and assume all risk arising from your use of any such websites or resources. (iv) UNAUTHORIZED ACCESS, USE OR ALTERATION OF YOUR TRANSMISSIONS OR CONTENT, WHETHER BASED ON WARRANTY, CONTRACT, TORT (INCLUDING NEGLIGENCE) OR ANY OTHER LEGAL THEORY, WHETHER OR NOT www.TRON.ru HAS BEEN INFORMED OF THE POSSIBILITY OF SUCH DAMAGE, AND EVEN IF A REMEDY SET FORTH HEREIN IS FOUND TO HAVE FAILED OF ITS ESSENTIAL PURPOSE. The failure of www.TRON.ru to enforce any right or provision of these Terms will not be deemed a waiver of such right or provision. In the event that any provision of these Terms is held to be invalid or unenforceable, the remaining provisions of these Terms will remain in full force and effect. We may revise these Terms from time to time, the most current version will always be at www.TRON.ru/tos. If the revision, in our sole discretion, is material we will notify you via an @TRON.ru update or e-mail to the email associated with your account. By continuing to access or use the Services after those revisions become effective, you agree to be bound by the revised Terms. These Services are operated and provided by www.TRON.ru/, 16 Tron LTD. Attn: Copyright Agent 16 Tron LTD Kong Hong, China If you have any questions about these Terms, please contact us. Беспалов Владимир Анатольевич 1974 года рождения. На вид 40-43 года, худощавого телосложения, рост 180 см, лицо европейское, коротко стрижен. Волосы темно-русые, одет: короткая черная куртка с капюшоном, синие брюки, кроссовки черные с белой полосой, особые приметы: хромает на правую ногу, имеет протез от ступни до колена на левой ноге. В 2007 году доставлен в Надеждинское РОВД за мелкое хулиганство в нетрезвом виде, В июле 2008 года осужден по ст. 228.1 за торговлю наркотиками. Освободился условно-досрочно в 2012 году. Обладая крутым по бандитски нравом, криминальным опытом и «авторитетом бродяги» вскоре стал одним из крупнейших оптовиков-наркосбытчиков в Надеждинском районе городе Артема. 24 марта при транспортировке по Владивостоку в автозаке МВД РФ устроил дебош, выхватил табельное оружие конвоира и убил его. Завладев пистолетом Макарова, открыл огонь и по водителю полицейской «Газели». Вместе с похищенным табельным оружием скрылся с места происшествия. После этого ворвался в одну из квартир на улице Ильичева, 17, где забрал у хозяйки вещи мужа, прихватив нож, веревку и ножницы. При получении оперативно-значимой информации сообщить в УМВД России по Приморскому краю по телефонам: 8(423) 2224-287, 8(423) 2214-854, 8(423) 2490007.